No one will ever know to what extent Bob Pelham touched young lives. So many people have related about ‘the moment’ in their lives when they first came into possession of a Pelham Puppet and how it became a turning point and their lives were changed from that moment on by the creative genius of Bob Pelham. Hello! I’m the guy behind Pelham Puppets! I’ve been standing behind them, above them and around them for over 50 years now. I’ve even tried to get away from them a few times! But they always crept back into my life, so I’m stuck with them, which means you are stuck with me! I am now based in Staffordshire and it is from here that I now produce the puppets and plan to re-launch the touring puppet show. 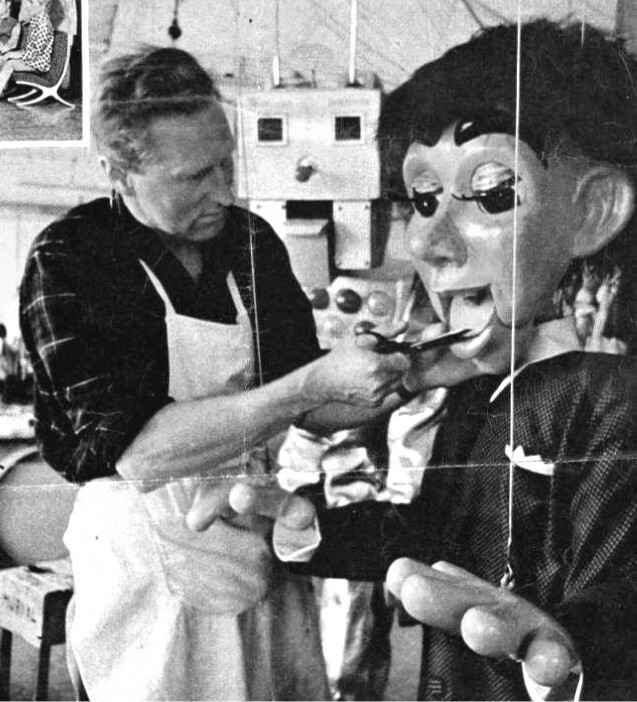 I have vivid and affectionate memories of my time working at the factory and living in Marlborough, (my daughter was born there,) it was not like work for me really, simply an extension of a hobby, and I was eager to learn about the whole puppet making process and later, how it all began and developed. Bob and Anne Pelham were always very kind, encouraging and generous to me and my family, that’s why it’s so important to me that I do what I can to keep his legacy alive. He encouraged and inspired so many young people to actively pursue the art of puppetry and many have since gone on to become puppeteers, theatre producers and some even went on to create some of the best children’s television shows in the 1960s and 1970s. I still keep in touch with several of my former co-workers, although, with the passing of time, (40 years+ now,) sadly, many are no longer with us. 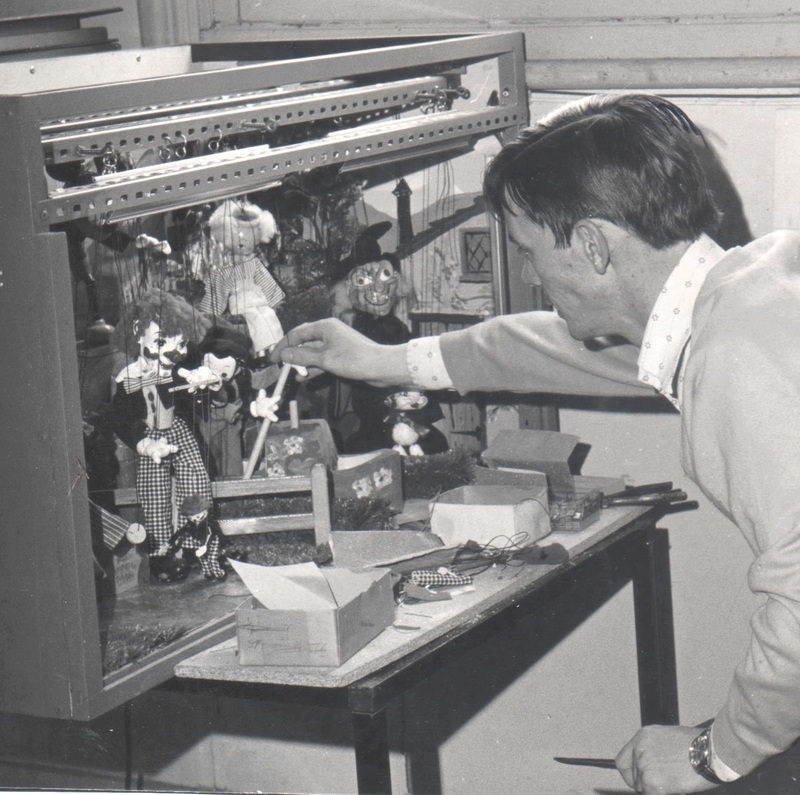 A little over a year after Bob Pelham died, I relocated to Weymouth in Dorset and set up my own puppet theatre, based at the Weymouth Pavilion. 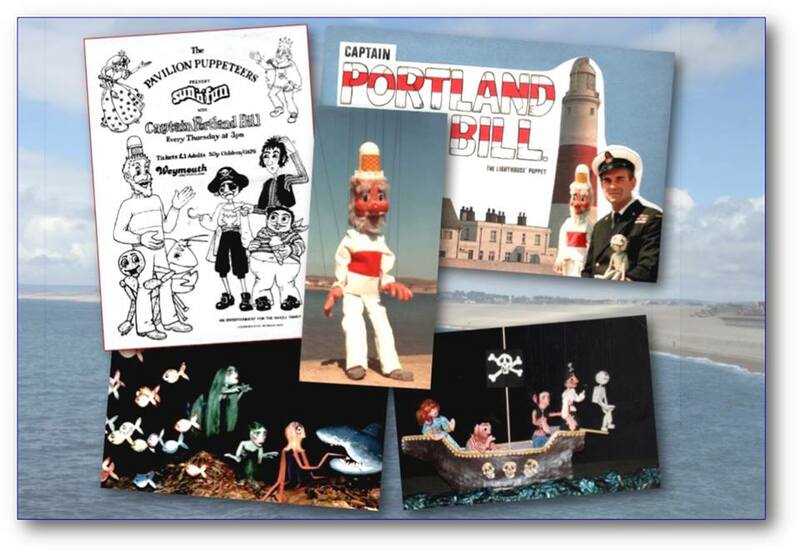 It was called the “Capt Portland Bill Puppet Theatre” and after taking on an excellent team of employees, we staged summer season shows and conducted puppet workshops in local schools for several years. I later worked in TV and theatre, not only making puppets and marionettes for TV, stage shows and pantomimes, but also as a performer and puppet operator on many occasions. Eventually, I concentrated on making puppets for other people and you can see some examples of my work here, in addition to producing a small range of puppets for children to use and play with. 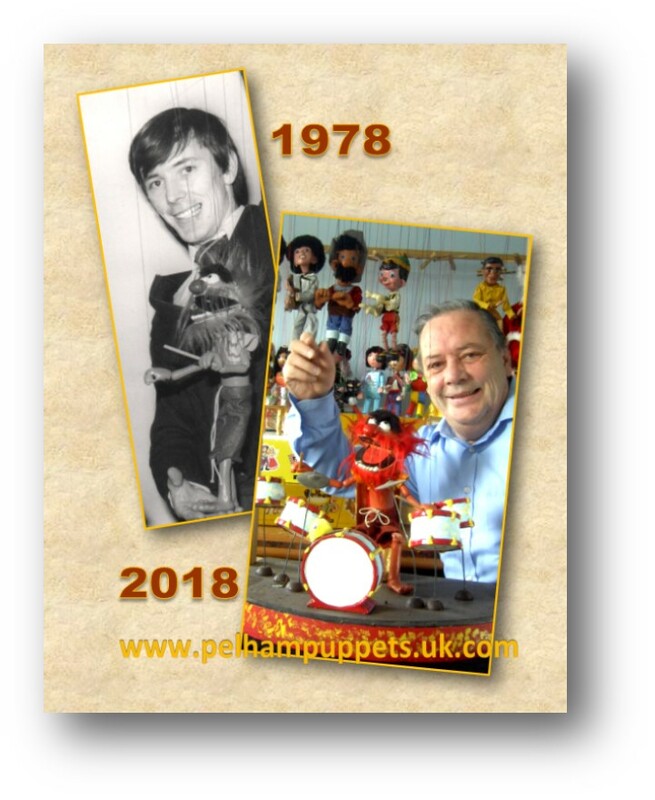 Anyway, please read on below and explore the website as a whole to find out more about Pelham Puppets, their origins, the original factory and of course, Bob Pelham. I guess I first met Bob Pelham on my eighth birthday. I had asked my parents for a dog. What I got was not quite what I expected. It was a dog alright, a little black and white one – but there were strings attached! He had coloured strings that led up to a wooden control with the name Pelham Puppets indelibly printed onto the cross-bar. To my great delight I took him to school to show him off to my friends. No one else seemed to share my newly found interest, but that puppet became a treasured possession and I still have that puppet to this day. I was thirteen years old when I actually met Bob Pelham at the factory in Marlborough, for the very first time and on my own. He greeted me with a firm handshake like he was meeting an old friend. I was given a grand tour of the factory and after a phone call to my parents, it was arranged for me to stay overnight at his home and return the following day, as it turned out, with more puppets than I could comfortably carry! Thus began my life long association with Pelham Puppets. Almost every year until I left school at the age of eighteen, I made the annual visit to Marlborough to work in the factory for a few days or up to two weeks and each time, returned home with puppets stacked up so high, I could not see where I was going! That was the question. Where I was going? Should I pursue a teaching career, (having got my A-Levels, at school,) or should I make one more trip to Marlborough? 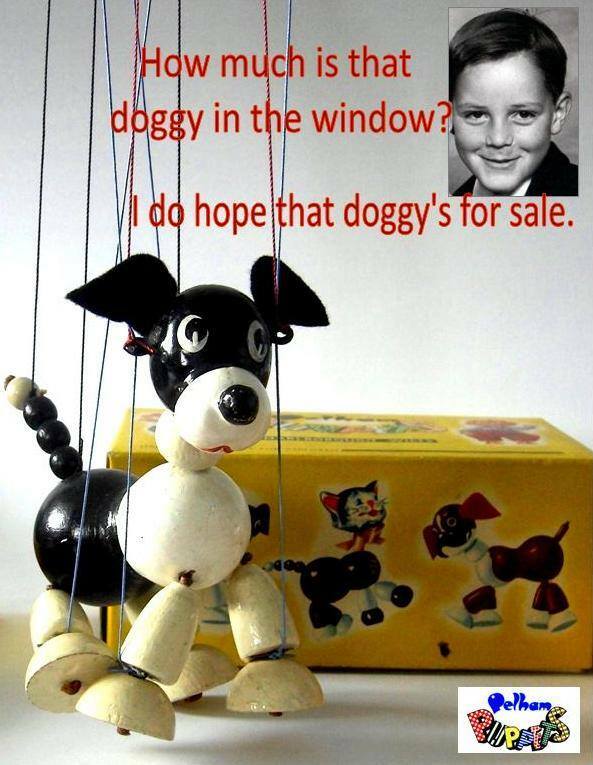 My life revolved around puppets! I had spent my teenage years staging puppet shows at children’s parties, schools and other events in and around my home town of Stone, Staffordshire, as well as in my small, purpose built puppet theatre at my parent’s house; so it goes without saying really. It wasn’t long before I became employed full-time at the puppet factory. It was a natural development I guess since I was already familiar with many of the puppet making processes and spent the first year or two working for short periods in various departments from moulding, painting, stringing, assembly and woodworking, as the need arose. This enabled me to gain valuable, hands-on experience of the puppet productions process from beginning to end. In the run-up to the Christmas periods, I would also go to Hamley’s in Regent Street, London and stage regular performances in store which also served to promote sales and inspire interest in the puppets. Families loved having the opportunity to handle the puppets themselves as well as see them in action on a real puppet stage. When you see puppets hanging up in rows, you can almost hear them sigh when you walk past and neglect to pick up the magical cross-bar that brings them to life! Because that’s what puppets are all about. They seem to almost yearn for life. They dream of action. Their entire wooden ambition is to become animated. 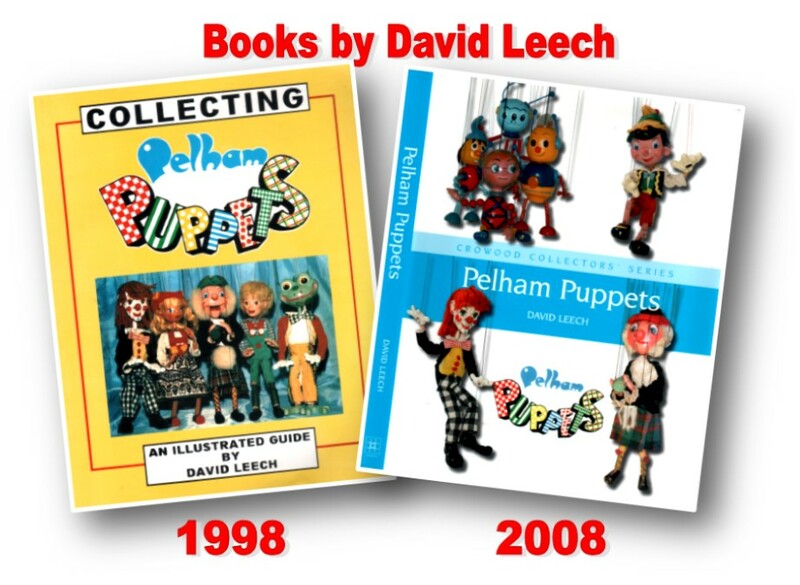 David is the Authorised Historian for Pelham Puppets and has written two books on the subject. To learn more about writing the books visit the Publications about Pelham Puppets page HERE. 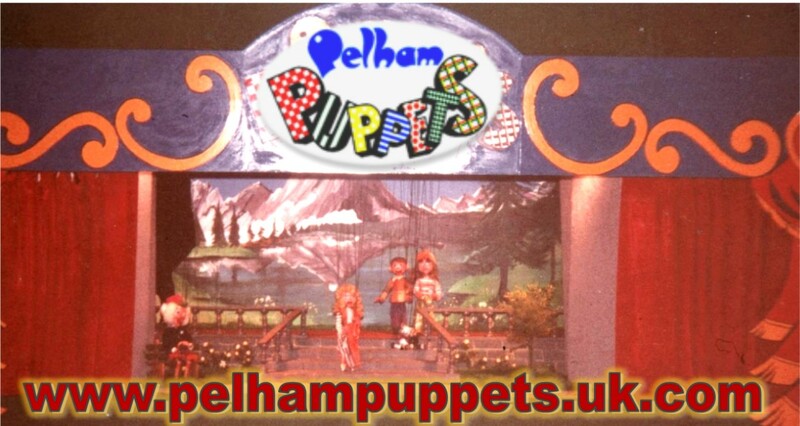 To find out more about the History of Pelham Puppets and to see a tour of the original puppet factory, visit the History page HERE. To see custom made puppets by David Leech, visit the page HERE.